Pomegranate export comes in autumn. This fruit tree is grown mainly in southern countries and the major amount of pomegranate suppliers are concentrated there. The fruit of this tree is round and has a firm peel, inside is full of small seeds covered with juicy red or yellow pulp. One of the largest countries in production volumes and pomegranate export is Turkey. Turkey due to its suitable climate, is known worldwide as a reliable and large fresh fruit exporters. The Pomegranate is a symbol of Turkey. Images of this fruit can be seen on postcards and various souvenirs brought from this country. This fruit contains vitamin and mineral complex. The pomegranate contains all the necessary substances for the human body, among which are the essential amino acids and vitamins – C, P, B6, and B12. Also, the fruits of this tree are rich in iodine, iron, and flint which makes them a good blood-forming product. The high content of tannins allow to use pomegranate juice as a disinfectant, and this fruit is often used as a healing health. All these qualities of the product provide a good demand for it and make the pomegranate wholesale – profitable business. 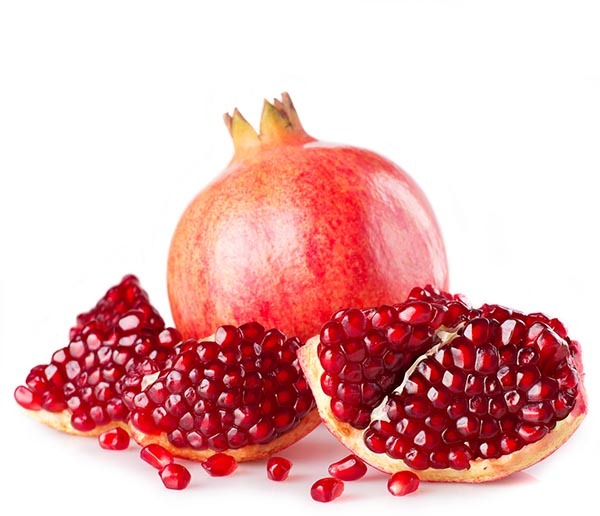 Our company is one of the first pomegranate exporters & suppliers from Turkey to Europe and Asia. Currently, main varieties of pomegranate that we export are Wonderful and Hicaz, description and production calendar of which you can read below. We working with wholesale buyers around the world and offer a full range of export services for this product. We conduct external selection control, quality control, packaging for transportation. We fully organize the logistics, provide our own transport and arrange all the necessary permits and customs documents. The quality of our pomegranate confirmed by international certificates. The fruit ha burgundy color. Sweet and sour taste. The kernels are very small and soft. It tolerates to cold and this is the most ubiquitous commercial grade of garnet. Wonderful variety of pomegranate has a yellow appearance color and raspberry internally. The size slightly smaller from Hicaz. It has a sweet taste and very soft kernels. The fruit contains 15% of sugar and about 0.5% acid.